On March 23. 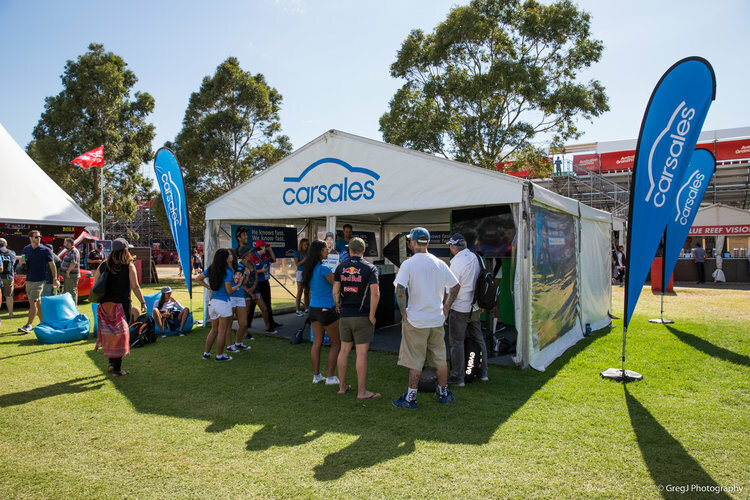 24, 25 and 26, we did an amazing activation event with Carsales during the Australian Grand Prix 2017 - Formula One World Championship. For four consecutive days we were at Albert Park, Melbourne to give people the chance to have a photo with F1 Superstar Daniel Ricciardo via our NowGreenscreen photography service. On this activation, we took a total of 788 photos, 1,256 were printed and taken home by the fans, and 872 photos were shared via email. The guests were very happy with their free printed and digital photo souvenir from the event. The social media was flooded by #TeamRicciardo fan photos. On this activation event, we took heaps of amazing photos, we gathered hundreds of data, and we made a memorable experience both for the people and our client. Watch out as we will be having lots of events like this soon!